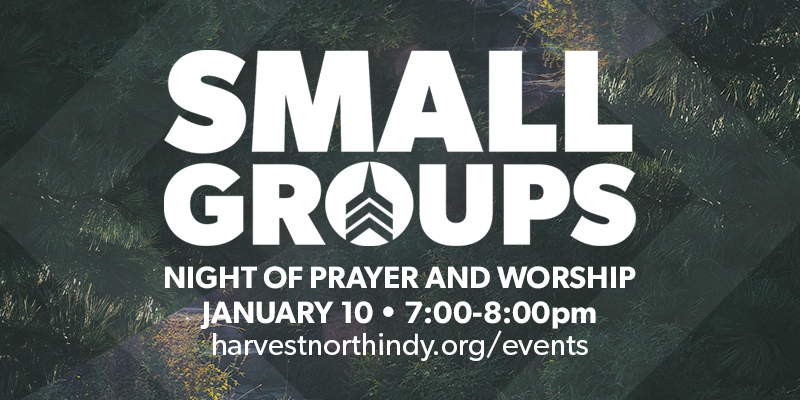 If you’re in a small group or are looking to get connected to one, we want to invite you to join us for a night of prayer and worship on Wednesday, January 10 from 7-8pm. This will be a night to reflect on this last season of ministry as we move forward into the upcoming small group term. Childcare registration is closed for this event.